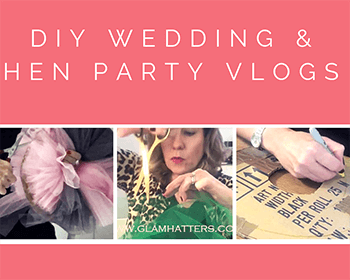 This is a tutorial on how to make giant pom poms is perfect for hen party decorations and a great DIY bridal shower idea. 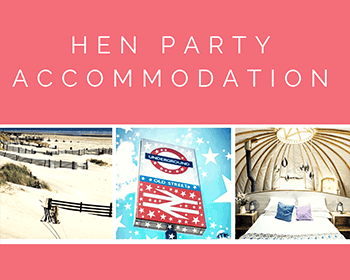 I’ll be showing at The National Wedding Show and I wanted to decorate my stand to look like a hen party. 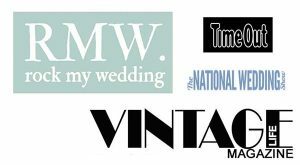 So I thought a really great thing for The National Wedding Show would be something really quirky and modern. 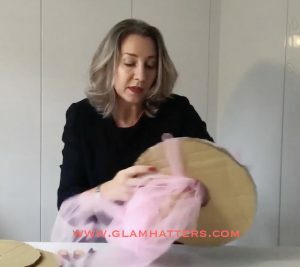 Here is a video of me showing you how to make giant tulle pom poms for DIY hen party decorations. Click the triangle to watch the video or read the step-by-step instructions below! 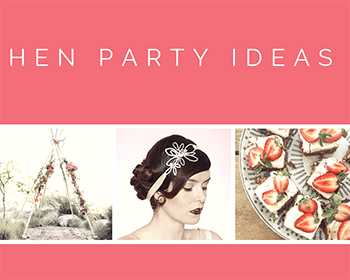 Hen Party Decorations, Step 1 – Go Shopping! I went to my local haberdashers and bought some gorgeous coloured tulle. If you’re like me, you don’t really think a hen party has to be all pink, get a nice shade of grey to calm things down a bit. Firstly I’ve got some old boxes and I’ve cut out some doughnut shapes. I drew around a bucket to get the first circle. Then I had a little biscuit shaped noted book which I drew around to get the second one. I used a knife to cut them out, you can also use scissors – which ever you find easier. You need 2 for each pom pom and then you’re going to put them together and wrap the tulle through. The tulle is really inexpensive, it’s a pound a meter and it’s quite wide. A little trick about tulle is that you don’t need to start cutting all the way down the length. What you do is measure 20 cm, do a little cut and then just pull it. I went a little bit crazy and got about 5 meters (maybe 10!) so I’m probably going to be making a lot of pom poms over the next few days! Get it to the end, move that out of the way for a second, and I’m going to start the next step. Make sure you’ve got your 2 pieces of card (doughnuts) next to each other. It doesn’t matter how roughly you have cut the pieces of tulle. Just to make things easier for myself, I’m going to tie it around. Do you see how it’s thinner at one end than it is at the other? None of that matters and in the end that’s all going to come out in the wash! I’ve tied one end around and now I’m pulling the length of the strip into a ball. Scrunch it all together and I’m going to start wrapping. What I’m going to do is one lot of pink and then one lot of grey. I’m going to keep going with that until I’ve got it nice and full. Then when I come to cut it out I will have different colours going through. So that’s that step, I’m going to carry on now and come back to you in a second once I’ve got a bit further down the line! I’ve done all my wrapping, I’ve made 2 different ones because I think it will be really interesting to see how they turn out. I’m quite in love with these and I think there’s a bit of mileage in these to do some other things. 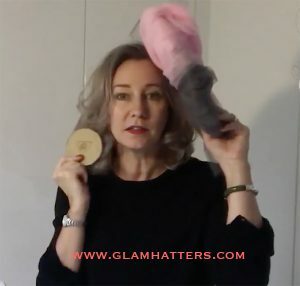 I will be working on the pom pom technique to make it more of a millinery technique. Because I am a milliner and that is kind of what I do! I’m going to have a little play around with those at some point and I’m sure that will be another video. My daughter also pointed out that they could be pretty amazing earrings! Especially for a hen party -that would be really fun. Next we are going to be cutting all the way around the outside of the doughnut. We’ll then put a ribbon all the way around it and then pulling it tight. I did think about this and thought maybe I should get some nice ribbon. But then I thought, why would you change matrials when you’ve been using this fantastic material already? I’m going to give this a little try, I haven’t done it before so it’s an experiment! Cut out 3 pieces of tulle, one in grey and 2 in pink. Tie them to the desk leg and plait them, to make them stronger. In the next step I will be using this tulle and we’ll see how it turns out. That’s one of the things I love about these videos is that it does get you thinking, “Oh what can I do with that? 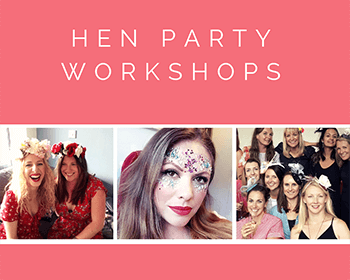 How can I make it a bit different?” The nice thing about doing things for weddings and hen parties is that you can go really quite pretty but you can also add in a bit of grey. This will toughen it up a bit and give it a modern look rather than it just being either bright pink or sugary pink. I’ve made my plait and I’m now onto cutting out my pom pom. The trick is to get your sharp scissors and to put them in between the 2 cardboard pieces that we put together earlier. Then you are cutting all the way around. I am very excited about this because it really is looking hatty! I know we are making hen party decorations but this is very exciting. Being a milliner who teaches hat making hen parties, it’s so exciting to see something like this coming to life. It will look completely different once the cardboard discs are taken out as it will be more of a circle shape. Give it a bit of welly to make sure you get all of it. Be careful that you don’t start pulling the tulle bits out. Lift up in between the cardboard doughnuts and pop the plait in, tie a knot in it and pull it real tight. This is going to be gorgeous. Tie one more knot, I always do a double knot. It will be interesting to see if we can get the doughnuts off without cutting them because we want to use them again. Looks like a pretty cool bow. Scrunch it out. I quite like that we’ve got a few long bits coming out – wowser! You can trim those long bits off but I quite like those!! This is quite nice because we’ve got almost like splodges of paint, so we’ve got splodges of colour. You could, if you wanted to, wrap a piece of grey next to the pink. Wrap the 2 of them at the same time and then you would have more of a graduated colour. I think this one is really cute, I like the way it is so straight lined, it’s almost like stalacnights. Trim off that big knot from the plait – you don’t need that there. Then play around with it till it’s all fluffed out. I used quite a lot of fabric in this one. I think I used a meter and a half of grey tulle and 3 meters of pink. You don’t need to use as much as that, you could use less and have a fluffier pom pom. I do like the fact that this one is so dense. I’m going to trim off all the ends to make it more of a ball. These are just so lovely for a hen party decoration or a wedding decoration. You could do them in gold and cream or black and white or whichever colours work with your theme. I will have these hanging up at my exhibition at The National Wedding Show this weekend in London and I’m sure they’ll be getting lots of attention. Anybody going to the show I will see you very soon. 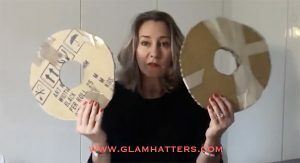 Thank you for watching and if you’d like any more information about Glam Hatters’ Hen Party Workshops please do check out our website. We do the most amazing fascinator or flower crown workshops and our Glam Hatter Girls will travel all over the country to come and see you. Or you can come and see us at our venue in London, have some bubbles and make something fantastic which you can then wear to the wedding. 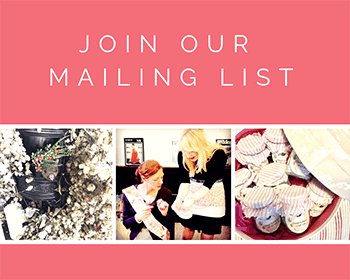 If you’d like to see more of my videos click the subscription button on the video or sign up to our mailing list.